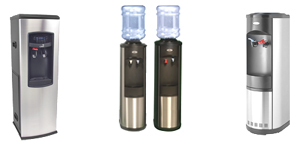 Essential Wonders offers state of the art POU commercial bottleless water coolers for your home or business in N.E. Ohio. We will install and maintain your water cooler for one low monthly price, this includes maintenance, repair, and water filtration. If you are interested in filtered, clean, and unlimited drinking water without the hassle of bottles and a low monthly fee then this is for you. For more information or to set up a Free consultation in your place of business please contact us at 1-888-525-5282 (N.E. Ohio residents only).